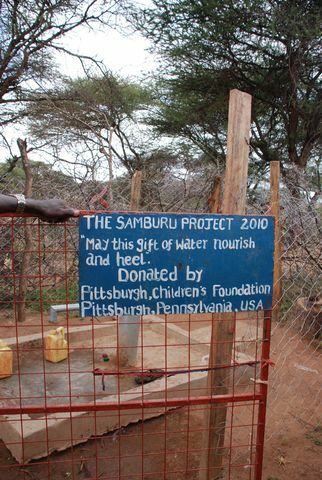 Funded by Pittsburgh Children's Foundation, The Samburu Project drilled and installed a shallow well equipped with a handpump in this community. Women and children formerly walked from 6am to 1pm to fetch water and now it is only a 5-15 minute walk. The nursery school was started in June 2010 near the well. Students now have water to drink and with which they can wash their clothes. The community expects that the children will have a better life because of this nursery school, being able to attend primary school although it is too early to see the benefits directly. The interaction between the children will help aid their social development. The whole school started because of access to water. Women now have time to look after animals and children. They previously spent most of their time looking for water. Now they have time to give special care to kids and needy livestock. Small livestock unable to walk long distances are now able to get water from the close well rather than the women carrying it back to them. 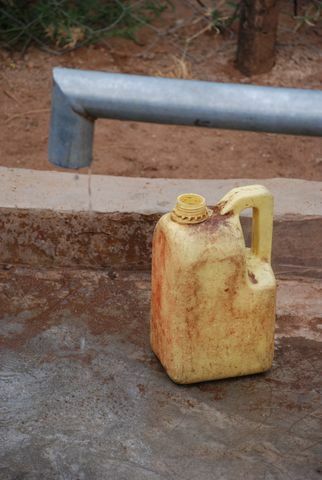 We arrived at this well to find many Samburu mamas and their children using the well. They must have been using the water to wash their clothes as there were many of their beautiful fabrics laid out around the bush fencing to dry. Other than washing and bathing, the women use this water for human and young goat consumption and cooking. Whereas before they used to walk six hours to find water, it takes less than five minutes for the women to come to the well. With the time saved, they now have time to pursue cleanliness- as we witnessed during the time at the well, women and children can now bathe and wash their clothes. Moreover, they have time to go to the market which is about three hours away one way. Before, there would not be enough time to find water and go to the market; now they can go and buy food and trade/sell their livestock. When asked how the well has changed their daily life, the women said that they no longer are stressed about where to get water and they do not have to expend nearly as much energy as they used to. They use this energy to do other things like properly taking care of their families and livestock. Furthermore, their health has improved significantly since they began bathing with water from the well versus dirty water from hand-dug holes. Water used to be the biggest issue facing the community; now they are relieved of this burden and do not have any other pressing issue. At this point Lucas introduced me to Steven, one of the men in the community and also one of Lucas’s close friends. Steven reiterated what the women had already said and stressed that long “movement” (traveling far distances) to find water is very rare now. He witnesses everyone in the community getting water from this well and notices that everyone’s hygiene is a lot better. Because of this well, the community now has a nursery school with more than 200 students. 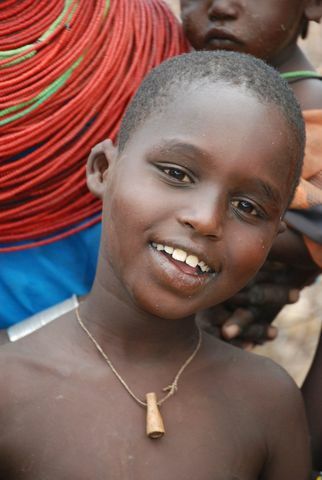 There are more than 400 students enrolled in primary school and many more girls are now able to go to school. When I asked what would happen if we were to ever take the well away, he answered in a very polite but distressed tone, “We would not prefer that. We would rather you add more (wells) than to take away.” Enough said. When we surveyed the well, we found that the edge of the slab foundation had been eroded by the flood during the rainy season. Regarding the fencing, the chain link fencing that was initially installed had been taken away and stored in a safe place: during the dry season, many donkeys would come to the well in search of water and ram into the chain link fence thereby damaging and breaking the fence. It has since been replaced by bush fencing that is made up of thorny shrubs and branches. Because the edge of the well has been eroded, they would like to have a trough for the animals. The well has had no other problems and is working just fine. -The well has broken once because the rubber wore out and the rubber also comes loose occasionally. Last time the rubber broke,the problem was fixed in less than a day. 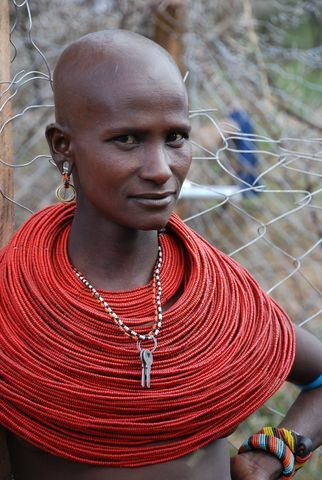 -Only men are trained to fix the well, but the village believes it necessary to also train some women. -They have added a water bottle to the spout to direct the flow of water from the well. -They have added a pipe to bring water to the washing area and they would like to add a bigger, permanent pipe. No breakages; the community is worried because their well is on the road to the market and this has heavy traffic on market days. To deal with this old men take shifts morning, evening and night to make sure it isn't abused by passerbys and their livestock. 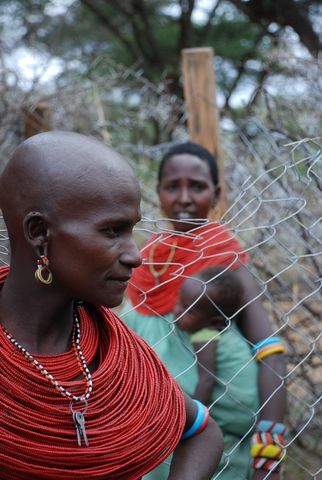 They have also built a fence made of acacia branches. During heavy rains the river rose and spread past its banks, rising over the spout of the well and washing away some of the foundation. Community would like to expand fencing so more people can be at well at same time. They would also like a trough, although one man does not want a trough because he feels it would atract other communities to the well and overuse it. He would prefer buckets. A nursery school opened in June 2010 near the well. Students now have water with which to drink and wash their clothes. The community expects that the children will have a better life because of this nursery school and also hope that they will be able to attend primary school, although it is too early to predict future benefits. The interaction among the children will help aid their social development. The whole school started because of access to water. Community women now have time to look after animals and children. Previously, they spent 3/4 of their time looking for water. Now they have time to give special care to kids and needy livestock. Small livestock that are unable to walk long distances are now able to get water from the close well rather than the women of the community carrying it back to them.